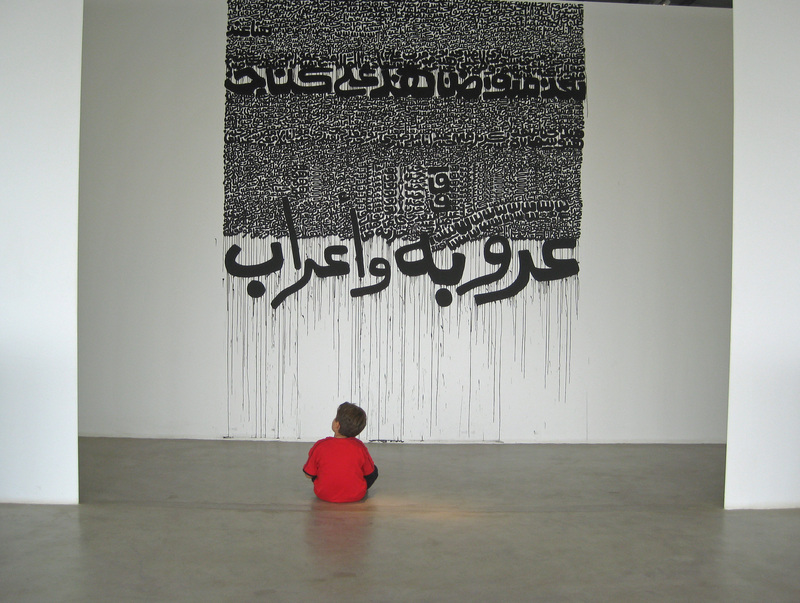 The class visited Beirut’s newest art gallery, the Beirut Exhibition Center, last week to see the Arabicity exhibit. 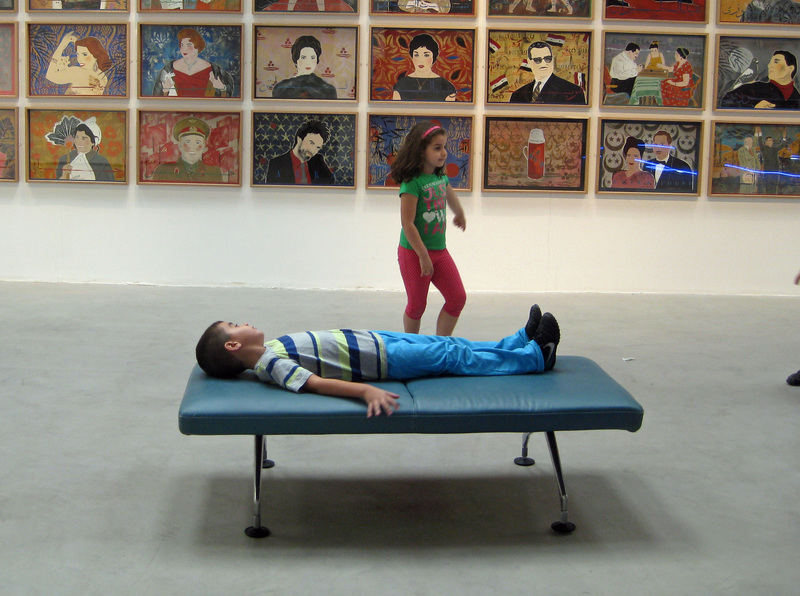 The collection was impressive in its diversity of work, and the space was unlike any we’ve visited as a class. 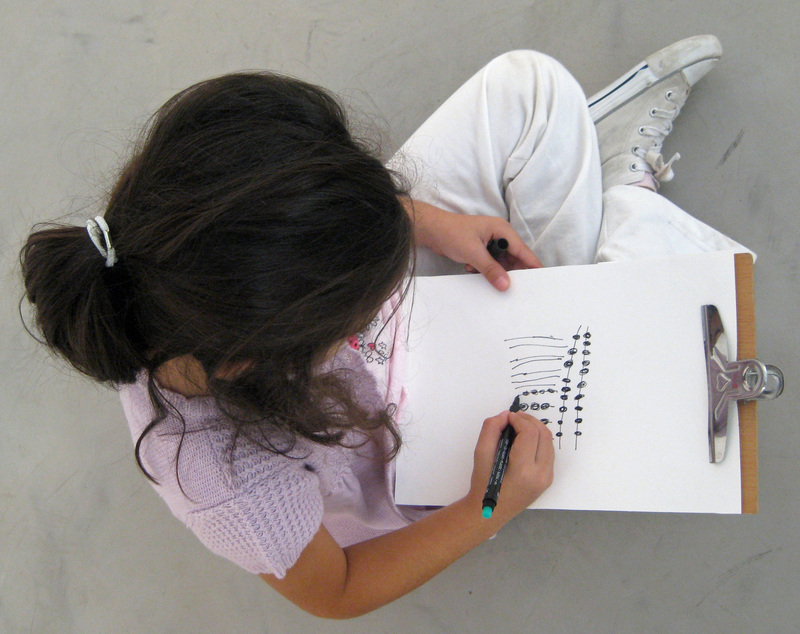 After looking around, we asked students to pick something that interested them, and to sketch a picture of it. 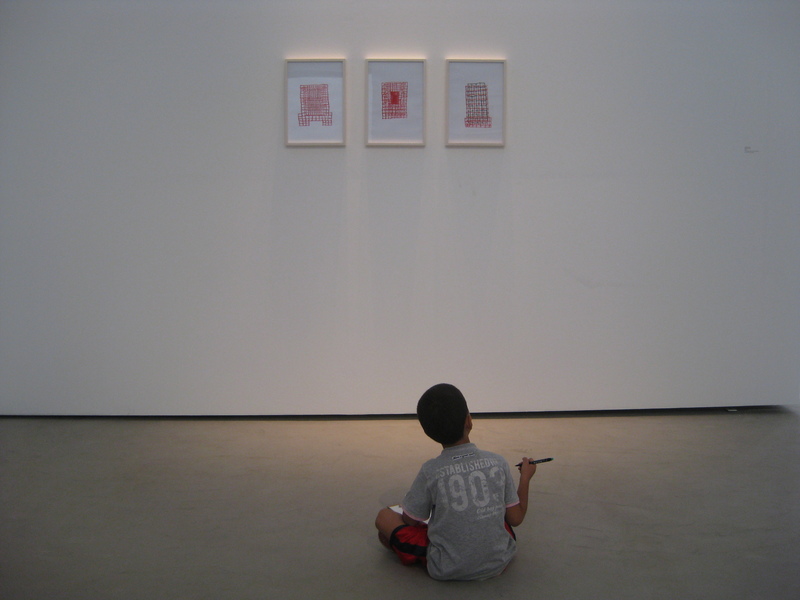 It was calming to watch students sit down, really sharing a moment with the art they were experiencing. In taking these photos, though, I did feel a little bit like I was violating private moments. It was like I was spying on some kind of relationship that was forming in front of me between students and the art – something that was personal and none of my business. When we’re in class, there’s always someone else nearby – every moment is a social moment. This reflects our beliefs about social constructivism, but witnessing these private, personal moments made me think about having space and being alone. I don’t often see this in school because rarely do students have the opportunity to be alone.